Schroeder Tennis Center: Meet Our Pros! Brian was born and raised in Dayton, OH and is a proud graduate of Chaminade Julienne in 1987. He resides in Tipp City with his two children, Gabe and Savanna. Brian has been a member of the United States Racquet Stringing Association since 1989 and a lifetime member of the USTA since 1990. 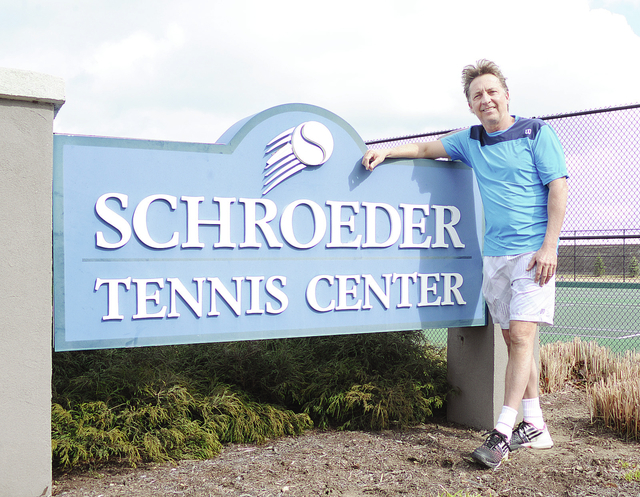 He received his United States Professional Tennis Association certification in 1992 and has worked at Schroeder Tennis Center since its opening in 1996. 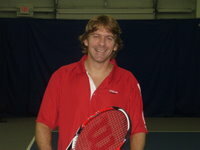 Brian enjoys his role as an USPTA Tennis Professional and Head Stringer for the Club. As a current member of the Technifibre Pro Team, he is a string play tester through the United States Racquet Stringer's Association. As a believer of practicing what he preaches to his students, Brian attends USPTA Midwest conventions and other continuing education opportunities to stay up to date on current racquet technology, training drills, and player development. 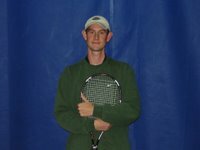 During his tennis career, Brian has participated in GMVTA and USTA Mens and Mixed Doubles teams. He has also travelled to and participated in tournaments throughout the USTA Midwest. The opportunity to coach the area's children and adults while seeing their growth and success at all levels has brought great enjoyment. Brian has coached several players to the high school state level of competition and also through their college success. He has helped several USTA adult teams win local championships and go on to District, State, Midwest and National competition. Brian's passion about teaching tennis to students, adults and families is the result of a dedicated career on and off the court. 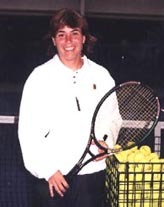 Over 20 years of teaching experience at Schroeder Tennis Center and other area clubs. Ball State University - Business Administration. Varsity team member, played competitively and held ranking in both Junior and Adult Divisions. Tennis is my passion - Mike has 35 years of teaching experience with players of all abilities, including 10 and under. He has held several tennis positions, including Director of Tennis, Manager, Junior Program Director, USA Tennis Coordinator at various clubs in Ohio, Pennsylvania and Indiana. Mike is the former men's and women's Head Coach for Indiana University East, of Richmond, Indiana Community Tennis Association. Mike is the proud father of Helena and Colin. He has been married to Cathy for over 35 years and resides in Richmond, Indiana.